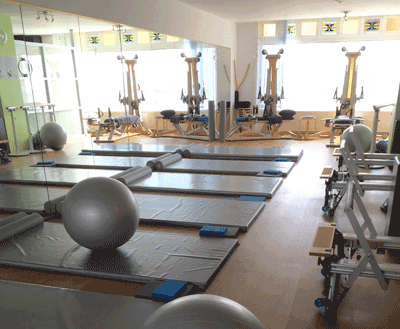 re-balance pilates studio + GYROTONIC® + GARUDA® was the first in the Netherlands to offer the STOTT PILATES® method and the first in the Hague to introduce theGYROTONIC EXPANSION SYSTEM® and the GYROKINESIS® method. Our studios, built in the 1930's, have a peaceful, fun and friendly atmosphere in which to practice essential, intermediate and advanced level sessions in both classical matwork, and on authentic, state-of-the-art pilates apparatus, as Pilates intended. Our clients come from all walks of life, and all age groups. We have often the honour of teaching people in the public eye; singers, musicians, artists, dancers, marathon runners, and other professional sports people. We are proud to say that rock icon Sting (The Police) when touring The Netherlands a while back took pilates sessions with us. 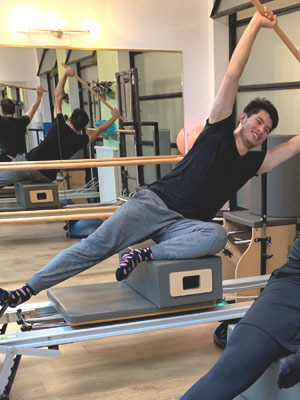 Rehabilitation for dancers and sports enthusiasts after injury, cancer management, and pre/post-natal exercise in conjunction with our clients and our own medical advisors is also part of our agenda. Pilates trainers who have started as clients at re-balance pilates studio plus, have gone on to become instructors and Instructor Trainers internationally. Since 2000 we have organised and hosted many workshops and courses to encourage and promote quality health and fitness education.